The weather has cooled down so quickly – we barely had time to get used to the cold! Now that autumn is here for good, I’m going to dive into fall baking recipes. At least that’s something to look forward to! 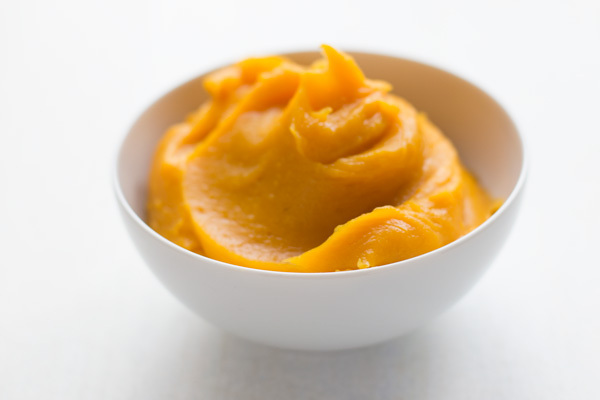 Today we start with homemade pumpkin puree – the basis for lots of delicious recipes. It’s so easy to make in advance, so you’ll be ready for all the pumpkin recipes that will follow in the next few weeks. Not just pumpkin soup… but pumpkin cake, cupcakes and pie…. even flavour your coffee with it! 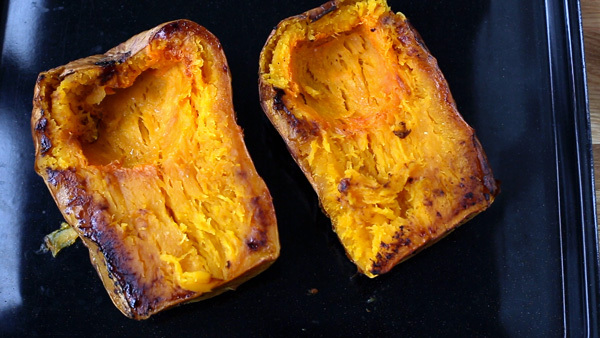 I totally recommend that every time you bake something, you slide a pumpkin in the oven too. 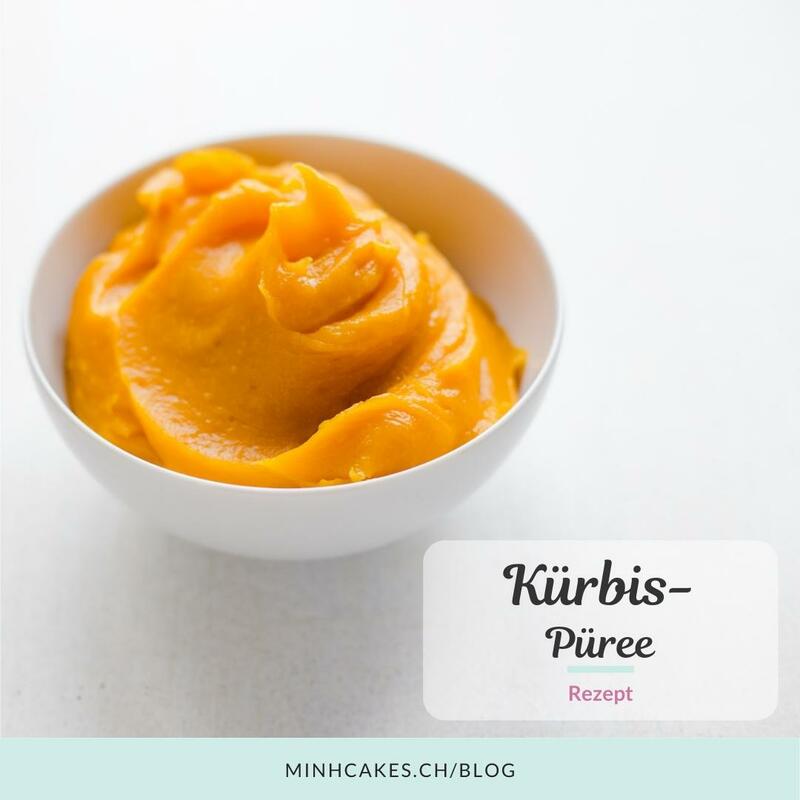 The pumpkin puree can be stored for months in the freezer, and is easyily whipped out whenever you feel like pumpkin sweets. First, cut your pumpkin in half and scoop out the seeds. You can roast those in the oven too, if you like. Since they’re so small, I usually don’t bother. Brush the cut surfaces with a oil and baked them (with the cut surface facing down) for 90 minutes. As soon as the pumpkins have cooled down a little, scrape out the flesh. Then grab your blender and puree it until smooth and silky! Preheat your oven to 170 C / 350 F vor. Spread a sheet of parchment paper on a baking sheet. 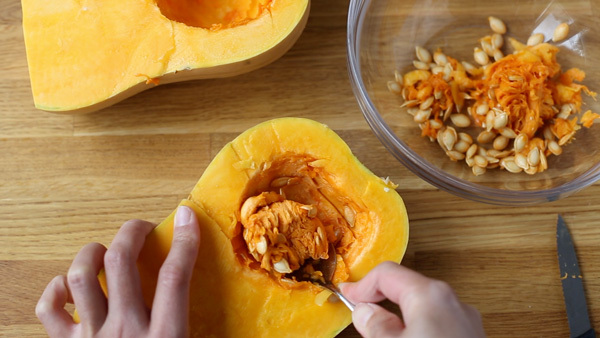 Cut your pumpkin in half and scoop out the seeds. Reserve seeds for roasted if desired. Brush the cut surfaces with oil and lay them face down on the baking sheet. Place the pumpkin in the oven and add about 1 cup of water. Bake for 90 minutes, until all the water has evaporated. Leave to cool for 30 minutes. 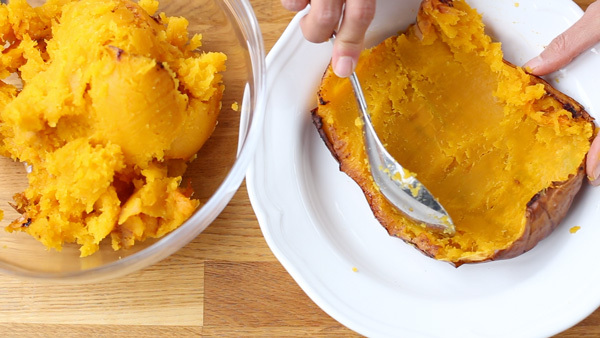 Scrape out the pulp, discard the skins and blend the pumpkin puree until smooth and shiny. Use immediately (for soup, pie, cupcakes etc.) or freeze in portions for later use. Instead of throwing out the seeds, you can roast them too! Wash and dry well. Toss with melted butter and sea salt. Roast at 150 C / 300 F for 45 minutes. As always, please post questions and results in the comments. You can now post your pics via the Facebook comment tool! 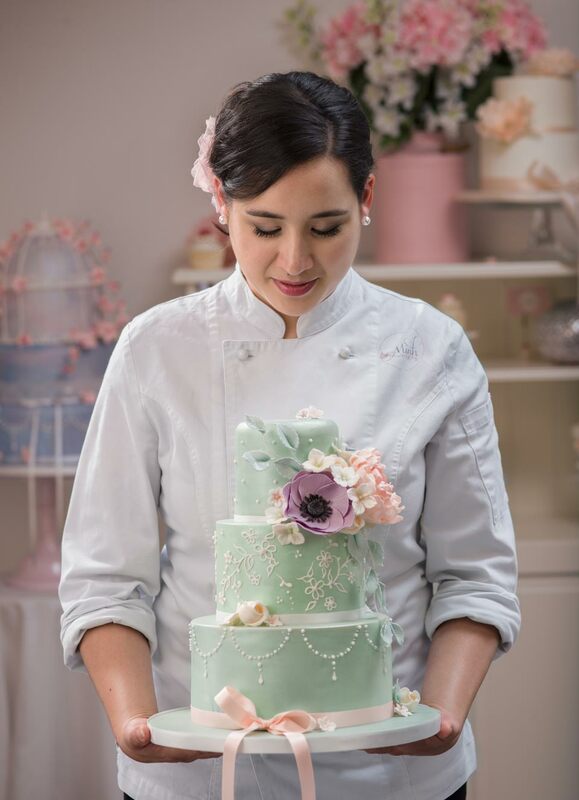 This is where I share my cake baking and decorating recipes and tips recipes with you.